Imagine a scenario where you reach for a fire extinguisher to aid your escape from a fire and it fails to activate because the need to have a robust fire extinguisher maintenance programme has been neglected? 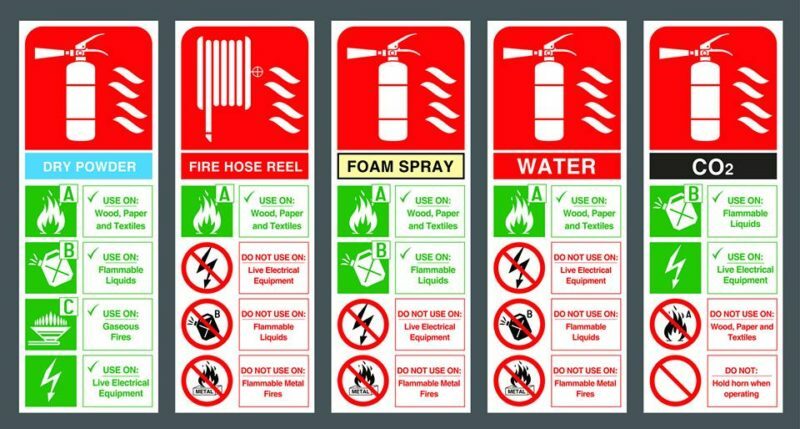 Fire extinguishers should be regularly serviced to ensure they remain in good working order and function correctly should they be needed. Legally, it is the responsibility of a business owner and part of the role of the responsible individual for a building to ensure that extinguishers are serviced in accordance to the BS 5306-3:2017. This does not apply to maintenance-free P50 fire extinguishers. It is important to ensure that the right fire extinguisher is used according to the accelerant that caused the fire. Rather than extinguishing the fire, using the wrong fire extinguisher can make a fire worse. For example, using a water based extinguisher on a fire started by cooking fat in a kitchen will cause the fire to spread further and may place lives at risk. Why do I need a fire extinguisher maintenance company? At Tecserv UK we can help you adhere to your regulatory obligations and record your inspections so that your business is compliant. To help ease this burden we have a range of fire extinguisher maintenance packages that mean all of your fire extinguishers can be inspected and serviced. The recommendation is that all fire extinguishers should be inspected on a monthly basis and documented in a log book. Furthermore, the fire extinguisher should be inspected and certified annually by a BAFE Approved fire protection equipment company like Tecserv UK. Carbon Dioxide (CO2) extinguishers need an extended service every 10 years. This involves a hydrostatic pressure test, to comply with pressure vessel legislation and a new valve. Most fire extinguisher servicing engineers will supply a ‘service exchange’ (refurbished) unit due to the onerous requirements of this process. It can be cheaper to purchase a new extinguisher. The following table outlines the recommended service schedule for the following fire extinguishers. The Tecserv UK “GOLD service agreement for fire Extinguishers” is a fixed price truly ‘all inclusive’ fire extinguisher service package. All you need to do is pay a set fee per extinguisher and let Tecserv UK take over responsibility of ensuring that all the extinguishers serviced by us comply with current British Standards. Determining what type of fire extinguisher should be used when a fire breaks out can be a matter of life or death. Using the wrong type of fire extinguisher on certain fires could cause more harm than good, and create an even bigger catastrophe. Is a multipurpose dry powder fire extinguisher all you need? Dry powder extinguishers are marketed as fool proof multipurpose fire extinguishers that will deal with a multitude of fires – so it begs the question – Is a multipurpose dry powder fire extinguisher all you need? Tecserv helps adhesive and sealant manufacturer to comply with ATEX Directive and improve the fire alarm system within its solvent building.